Short sale. Unbelievable buy! Ultimate privacy is yours in this ultra custom, Builder's own home adjacent to forest preserve. Open floor plan with volume ceilings for optimal retention of natural light. Expansive family room with brick fireplace. Gourmet's dream kitchen with custom cabinetry, granite countertops, massive island and separate eating area overlooking grounds. Lovely master suite with private bathroom and walk in closet. Spacious bedroom suites with private bathrooms. Formal dining room. Finished walk out lower level offers room for recreation, gaming, storage, additional bedrooms and more! Premium location near shopping, dining, Metra, expressway access, schools, parks and more! Radiant heat in lower level and garage. Sellers have spared no expense in this custom masterpiece!MUST BE SOLD! BRING ALL OFFERS! 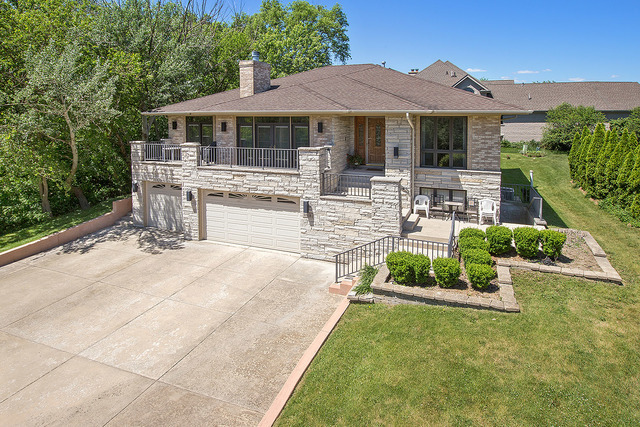 Contact CHRISTINE WILCZEK or JASON BACZA-Brokers, Exclusive Listing Agents, at 630-755-0600 for your private tour today.